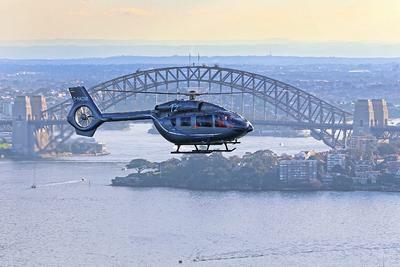 The latest members of Eurocopter's helicopter family - including its new EC175, the enhanced EC145 T2 and AS350 B3e - are coming to Las Vegas for Heli-Expo 2013, where the company also is demonstrating its expanded services offer. 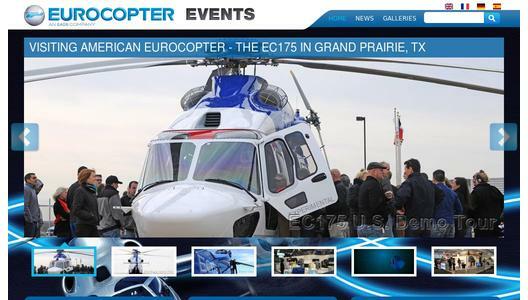 "At Heli-Expo 2013, Eurocopter will highlight how we are meeting our vision of transitioning from an industry-leading helicopter manufacturer to the no. 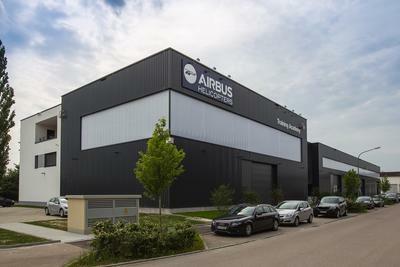 1 vertical lift mission solutions provider," said President & CEO Lutz Bertling. "We will achieve this vision through the evolution of our current product line, the introduction of a next-generation rotorcraft family and in particular the expansion of innovative services offerings, thus delivering an unrivalled mission capability to our customers." On Heli-Expo's opening day, Eurocopter will unveil another new addition to its evolved product line in the light-twin engine category. Also heading the product line-up at Heli-Expo will be Eurocopter's next-generation EC175 medium-sized twin-engine rotorcraft, whose unrivalled performance recently was confirmed during flight testing with the first production helicopter. This EC175 will be displayed in the oil and gas configuration on Eurocopter's exhibit (Stand #C2922), providing a stopover on a two-week U.S. visit that kicks off its global demonstration tour. Showcased as well at Las Vegas is the enhanced twin-engine version of Eurocopter's EC145 - the EC145 T2, to be presented in an emergency medical services customization. EC145 T2 deliveries are to begin this year, integrating such technologies as the Fenestron tail rotor, advanced cockpit design, modern avionics and 4-axis autopilot. Joining the company's display at Las Vegas will be the single-engine AS350 B3e evolved member of Eurocopter's Ecureuil family, powered by a Turbomeca Arriel 2D turboshaft engine with a new-generation digital FADEC, and an engine data recorder for condition monitoring. Completing the helicopter line-up on Eurocopter's exhibit stand is an EC225 Super Puma in the oil and gas configuration. Represented in model form with an accompanying video is the Eurocopter X3, whose full-scale demonstrator has validated its capabilities as a highly productive hybrid aircraft - offering the speed of a turboprop-powered aircraft and the full hover flight capabilities of a helicopter, as demonstrated during its U.S. tour in 2012. Eurocopter's strategy to become the reference in customer support and services is to be highlighted at Heli-Expo with examples from its existing range of services, including demonstrations of the company's Keycopter on-line customer services portal; along with future tools such as "e-TechPub" - a new generation of interactive electronic technical publications, and PC2-DLE - an application designed to help operators computing weight or exposure time for takeoff and landing. Exhibited as well at Heli-Expo 2013 will be Eurocopter's Helionix avionics suite, which brings together such features as LED (light-emitting diode) displays, an innovative crew alerting concept with an on-demand vehicle monitoring system, a 4-axis dual-duplex automatic flight control system, and enhanced situational awareness. Rounding out the company's exhibit stand presence is a virtual configurator that realistically renders Eurocopter's helicopter family members in a 3D representation with multiple options and paint schemes. The configurator provides internal and external views from various angles, and presents the 3D visualization on a large showroom screen. Also, an EC130 T2 will be flying in the Las Vegas sky during Heli-Expo 2013. This popular member of Eurocopter's lightweight single-engine product line - which incorporates changes to approximately 70 percent of the helicopter's airframe structure - was introduced at last year's Heli-Expo event, and is now in operational service.